***PLEASE NOTE! *** I have many Holiday and Seasonal Cupcake Compound Word Products for sale in my store. If interested you can click any of the links below. 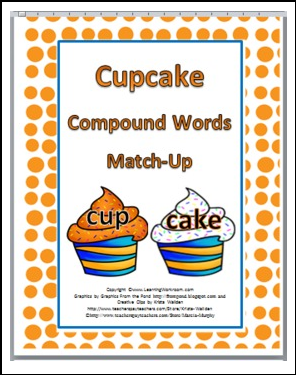 **** To view more of my ELA Activities and Posters, please click on the link below.